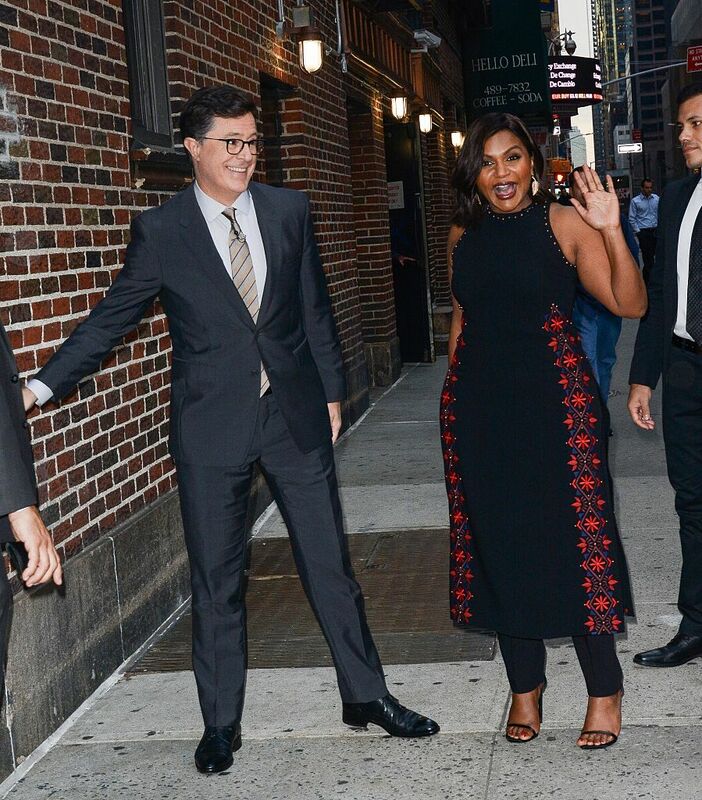 During a recent late night appearance on The Late Show with Stephen Colbert, Mindy Kaling was (as always) totally ravishing. She and the host talked about The Mindy Project’s 100th episode, her latest book Why Not Me?, and then they shopped for a mop together (because of course they did). It was hilarious, like Mindy always is. But in between cracking up about her and Colbert’s goofy antics, we could not take our eyes off the ~stunning~ black and red double-slit dress she was rocking. The dress adds such a layer of elegance while also being super trendy and we simply cannot get enough of it. 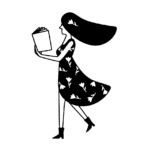 The way it flows gloriously in the wind while she’s walking yet still looks flattering and comfortable makes us immediately want one for ourselves. Kaling credits her stylist, Cristina Ehrlich, for the amazing clothing choice. We should all be so lucky to have someone like her stylist in our lives. We never realized until now how double slits and a long dress-like top can make an outfits so spectacularly (yet effortlessly) trendy. It’s the perfect look to be seen around town or to cuddle up and watch the latest season of The Mindy Project (which is available streaming on Hulu now). Leave it to Mindy to continuously expand our style horizons and show us exactly how to wear all the most adorable trends that we never knew how to rock before.